The wait is over. South Korean boy band and worldwide phenomenon EXO is finally back in the Philippines for EXO PLANET #4: The ElyXiOn! EXO-Ls all over the country are more than excited to watch Suho, Baekhyun, Chanyeol, D.O., Kai, Sehun, Xiumin, Lay, and Chen perform their hit songs live. 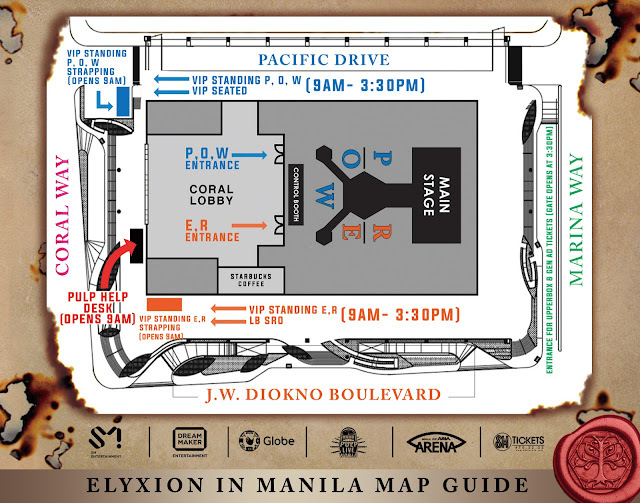 Make it a night you’ll never forget by taking note of these five essential tips and tricks as you head to the Mall of Asia Arena on April 28, Saturday. Take note of your ticket section and important times. Make your official ticket and special access card the #1 item to have with you on D-DAY! For those in VIP Standing, bring your line-up sequence print-out as well. Proceed to VIP Standing Strapping Booths starting 9 A.M. to 3:30 P.M., present your tickets and print-out, and claim your straps prior to queuing. Bring your EXO lightstick or pen light. Make the silver ocean happen and show off how much Pinoys love EXO! When the concert starts, lighten up your sticks. For fast songs, shake the stick forward and backward. For slower songs, swing the light sticks side to side. Make sure your devices are at 100% battery by bringing a powerful powerbank. You’ll be needing them not only for taking photos of the awesome performances and posting them on social media, but also for staying in touch with your eomma/ appa in case you need a ride after the concert. Professional cameras, video recording equipment, tripods, monopods/ selfie sticks, and tablets are not allowed, but make sure you have a reliable point-and-shoot for taking pictures. Even better, make do with your smartphone camera so you have less items to bring. Don’t forget to use the #GlobeKPOP and #ForTheLoveOf hashtags when posting your photos! Leave your pointed umbrellas, big bags, sharp objects, laser pointers, and oversized banners at home! These items are not allowed inside the Arena and will be confiscated once caught. 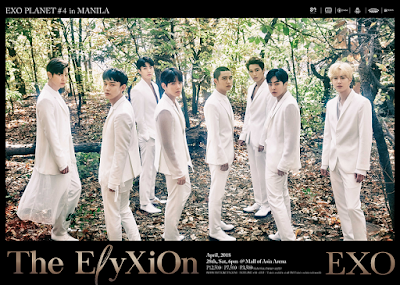 Get ready to dance the night away to the group’s chart-topping tracks like “Monster”, “Lotto”, and “Ko Ko Bop” and create wonderful memories with the biggest boyband in the world, EXO! For more information, visit the website at http://go.globe.com.ph/GlobeKPop.html or follow the official Globe Facebook page or @enjoyGlobe on Twitter on Instagram.